The journey from outsider to insider is the guiding theme of this excellent Coming-Of-Age drama/ romance that does almost everything right. Being different is something I can personally identify with, and The Perks of Being a Wallflower was just the kind of medicine I needed to counter the somewhat useless reality that I am unique just like everyone else. 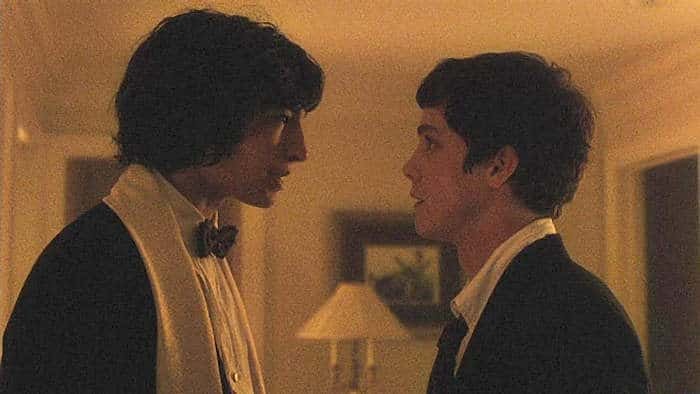 The Perks of Being a Wallflower is set over the course of one school year during the early 1990s in the USA, the time of The Rocky Horror Picture Show, David Bowie and Nirvana. As 15-year-old Charlie (Logan Lerman) enters high school with some trepidation, he does what most outsiders would do – watch and learn. Even though school isn’t exactly the kind of place where common sense prevails, by necessity sub-cultures exist to accommodate those who do not conform. Ezra Miller as Patrick and Logan Lerman as Charlie. Luckily for Charlie, two seniors soon adopt him: Sam (Emma Watson) and Patrick (Ezra Miller). Their attitude of “vive la différence” is just what Charlie needs. He doesn’t realise it at first, but soon discovers that the time has come for adventurous and hedonistic pursuits instead of existentialist introspection. Alas, things are never that simple. Charlie has issues. He falls in love with Sam, who is not available, suffers from depression and struggles to cope with the suicide of his best friend. Mr. Anderson, his English teacher (played by Paul Rudd), provides appropriate reading material like The Catcher in the Rye. Charlie even starts dating the gregarious Mary Elizabeth (Mae Whitman). But his newly adopted lifestyle becomes “too much too soon” and Charlie spirals out of control, however not quite like Albert Camus’s “The Stranger” (one of the books he is given to read) who is condemned to failure. 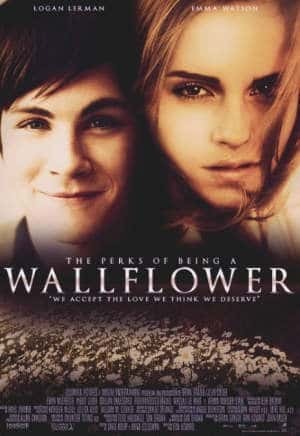 On a superficial level this narrative is all too familiar, so what sets The Perks of Being a Wallflower aside from the rest? Right from the start it’s obvious that this movie is more than a glib treatment of the high school Coming-of-Age genre. Chbosky’s belief that there should be no stigma attached to mental health issues is central to the theme of The Perks of Being a Wallflower and that makes for enthralling viewing. Stephen Chbosky proves once again that some of the best films come from authors who produce their own work. If, for some reason you haven’t seen it yet, The Perks of Being a Wallflower is highly recommended. The journey from outsider to insider is the guiding theme of this excellent Coming-Of- Age drama-romance that does almost everything right. 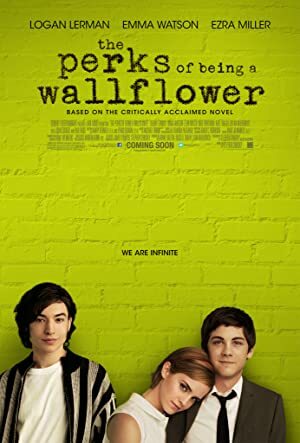 Having seen that many like The Perks of Being a Wallflower, it surprised me that the film failed to charm me – yet even Martin, the author of the review had stated that knowing me I am unlikely to enjoy it. I was ready to prove him wrong, but …that did not happen. On my own I would have probably never seen, let alone review the film – but know I have watched it. The story felt insincere and the characters slightly clichéd. Logan Lerman is a good actor, but probably a bit too old to be portraying a freshman in high school – a small detail, but to me casting does affect the overall believability of the story. If anything Ezra Miller was probably the best actor of the entire cast. Larry Clark`s “Kids” as different movie as it is portrays the real teen age much more accurately than Stephen Chbosky film. I must admit that the film bored me and I had to force myself in finish it hoping that it will get better – it never did.